DAVID LE. Gloucester Times. 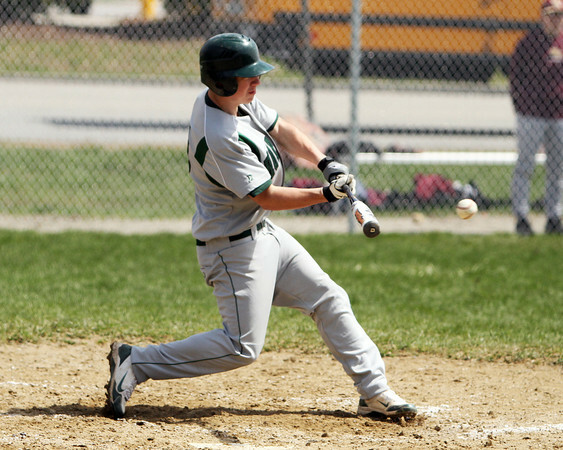 Manchester-Essex's Corey McColloum lines a base hit to left field during the 4th inning of the Hornet's game against Mystic Valley High School on Friday morning. 4/22/11. , DAVID LE. Gloucester Times. Manchester-Essex's Corey McColloum lines a base hit to left field during the 4th inning of the Hornet's game against Mystic Valley High School on Friday morning. 4/22/11.